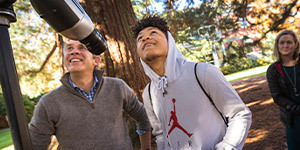 Willamette University is a place where engaging faculty members inspire students to examine issues critically, think creatively, and act effectively. Through our collaborative community and Pacific Northwest connections, we challenge students to transform knowledge into action—the foundation of a successful career and a meaningful life. The popular guide Colleges That Change Lives recognizes Willamette as one of 40 schools where students experience rich intellectual and personal growth. As you get to know Willamette, you’ll find myriad reasons why we’re a place like no other. Eleven of the 24 Oregon Professors of the Year are from Willamette—a record unmatched by any other West Coast school. Our professors stand out nationally for their dedication to teaching and for positively influencing their students’ lives. Willamette has a 10:1 student-faculty ratio, the average class size is 15, and none of our classes are led by graduate teaching assistants. What’s more, our physical spaces on campus are designed for interaction. Faculty offices line our academic hearths, which are focal points for studying, discussion, and get-togethers with instructors over pizza. Outside of class, students engage with professors through abundant research offerings. 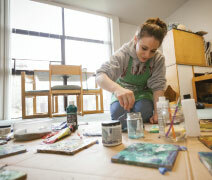 Some of the most innovative programs include the Liberal Arts Research Collaborative, where students and professors work side-by-side on cross-disciplinary arts, humanities, and social science projects; the Science Collaborative Research Program, which allows students to work directly with faculty in the natural sciences; and the Carson Undergraduate Research Program, which pays students to undertake scholarly, creative, or professional research projects around the globe, all while guided by faculty advisors. With the Oregon State Capitol only a crosswalk away, Willamette offers more direct access to state policy than any university in the Pacific Northwest. 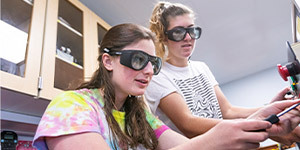 The nexus of law and government provides another set of labs and classrooms where our students explore and implement their ideas—whether they’re interning with elected officials, conducting primary research in the Oregon State Archives, or working alongside the state’s top scientists and economists. And the members of our extended campus don’t hesitate to cross State Street to take advantage of Willamette’s resources. You’ll regularly find lawmakers, Supreme Court justices, lobbyists, and the governor on campus—teaching classes, working with student groups, and having lunch (they like our food too). While half of our undergraduates study or conduct research abroad, Willamette’s unique partnership with Tokyo International University provides unparalleled opportunities for cultural and language exchanges on campus. Willamette students practice speaking Japanese with their roommates, join Taiko Club, and grab sushi in Kaneko Commons. They take courses on Japanese language, culture, and society, and they work at co-located Tokyo International University of America to help plan events and develop cultural programming. Our students also study abroad at TIU in Japan, where they live with host families for up to a year. TIU students, meanwhile, take courses in English language and American studies and participate in the many clubs and activities Willamette offers. How many universities can say they own a forest? Well, we do. Only a 20-minute drive from campus, Zena Forest provides outdoor laboratory and creative space in the fertile and beautiful Willamette Valley. Zena features on-site classes and ongoing research. Our students examine everything from astronomy and wildlife to climate change and hydrology on the 305-acre site. They also take an active role in restoring natural habitats, promoting conservation efforts, and developing sustainable forestry practices. Meanwhile, our professors in Politics, Biology, English, Theatre, Art History, and other fields use Zena to tie the local landscape with their students’ pursuit of knowledge. In addition to our work at Zena, we seek to foster sustainability in the areas of education, environment, equity, and economics across all of our schools and through our cocurricular programs. Interested in a Law degree or an MBA? Dual-degree programs with our Law and Management schools allow our students to seamlessly combine a liberal arts undergraduate education with professional graduate programs on one campus. Dual-degree programs allow students to graduate a year early, giving them a jump-start on their professional careers. Graduates of these programs say they benefit from learning critical-thinking skills as undergrads and professional skills in graduate school—giving them a competitive advantage when entering the market. Admission counselors evaluate your course work, teacher recommendations, and contributions to your school and community such as athletics, student clubs, and leadership roles. Academic aptitude is a top consideration. Prospective students may submit a standardized test score as part of their admission materials, but they will not be required to do so. An admitted student’s average SAT score is 1290, and the average ACT score is 28. The median high school GPA of incoming students is 3.93. To help make a quality education more affordable, Willamette offers a variety of need- and merit-based aid to qualifying students. About 98% of our students receive some form of aid, with the average need-based award totaling $31,229 per person. Thirty-six percent graduate with no debt at all. If you’re interested in learning more about Willamette, we encourage you to visit us for a campus tour, meet one-on-one with professors, sit in on classes, spend the night in a residence hall, and talk with financial aid staff. Hang out at the student-run Bistro and get to know our community.